The Weissenhof estate in Stuttgart is one of those icons that have defined modern, avant-garde architecture. When it was built back in 1927 for a public exhibition, it was to showcase the possibility of futuristic living spaces. Parts of the estate were destroyed in the war and then rebuilt, barring one plot that has remained unused since 1945. Well, until now. B10, short for Bruckmannweg 10, is a research project helmed by Professor Werner Sobek that claims to be the first active house (as opposed to the passive house philosophy of efficiency and conservation) in the world and which subsequently generates twice as much energy as it requires itself. There are 40 solar panels on the roof that generate 10 Kw hours at a peak capacity. Which means there's plenty to go around. The surplus energy provides power for two electric cars and the Weissenhof Museum. And perhaps even the neighbours? 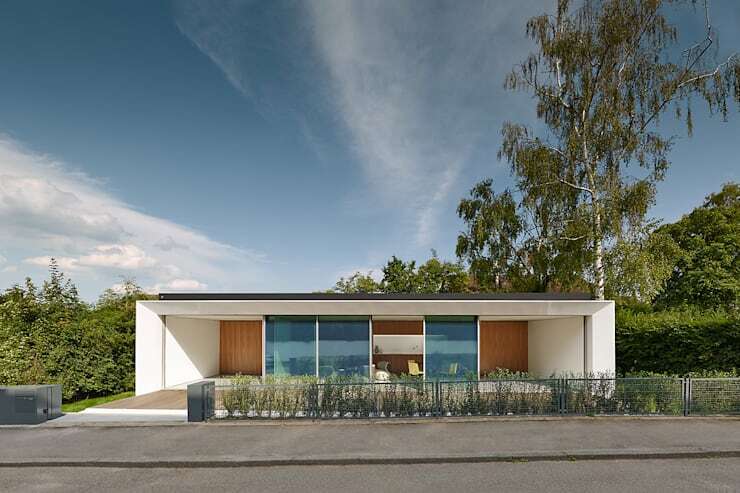 B10, in effect, fulfils the Triple Zero standard: zero energy, zero emissions, zero waste. The 914-square-foot space has an in-built control system that allows the building to learn and adapt. There's even a separate module at one end of the house,which is used to park an electric smart car that is charged through its solar panels. The house explores the intersection where materials, design and technology meet to extend home sustainability. If you're looking for a house of the future, this is it! 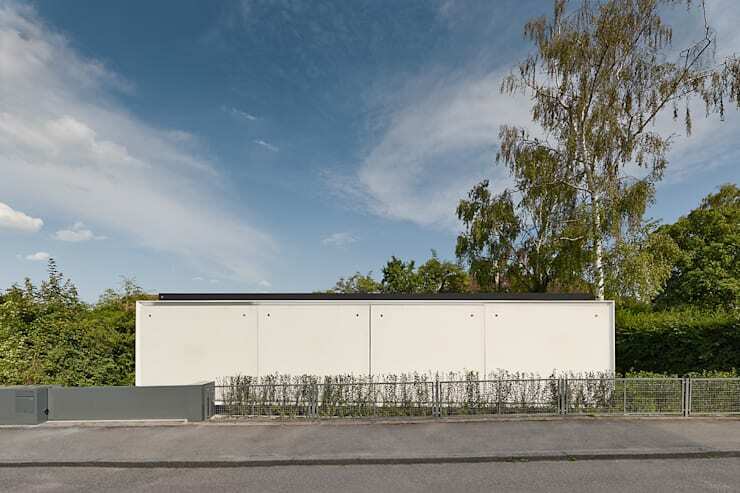 Compact in its structure, B10—a single-storey structure—is only wide enough to allow for a single row of rooms. The house is split into an entrance, living+dining room and a kitchen. You can't tell from the outside, but there's actually a small shower room and a separate toilet. At first glance, you could easily be fooled into thinking this is just a simple, small space but it hides some truly impressive technology. The frame of the house is made from wood sourced from sustainable forests, and fabric. In fact, most of the house uses minimal resources and can be recycled almost entirely. Electricity is generated by a photovoltaic array. If you're looking to spruce up your pad with more eco-friendly elements, these folks could help you take it up a notch. A self-learning heating and power system, which is controlled via a smartphone or a tablet, ensures that there is heating only when necessary; it responds to movements and adapts to the resident's habits. And if that's not enough, the system also forecasts temperature! It does this by connecting to local weather stations. So if it's going to be a warm day tomorrow, the house will know it beforehand, stop the heating and divert the surplus to the nearby Le Corbusier building. Oh, did we mention that the house can even detect the electric car from a couple of kilometres away via GPS—so you know, it would just keep the house warm and toasty for residents even before they arrive. The furniture is kept minimal but in its design is as avant-garde as the home it outfits. 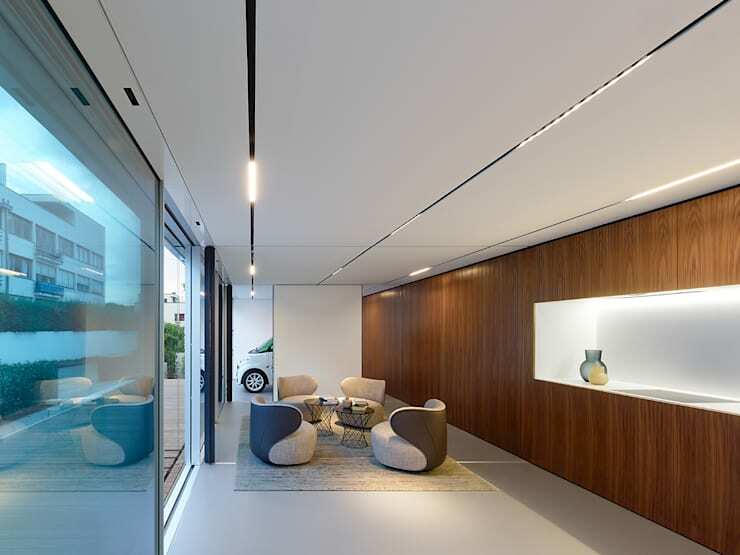 The clipped lights on the ceiling can easily be removed and repositioned as and when required. The window may look deceptively thin, and it is—only 17 mm thick, but consists of three layers of glass to keep cold and heat at bay. Only when there isn't much (or any) direct sunlight does the house rely on its own energy reserves. But to keep consumption at a minimum, especially during night-time, several measures are put into place; for example, the refrigerator is amped up in the mornings (and automatically switches off at night) so that the contents don't spoil overnight. It comes back to life once the sun rises. You'll also not notice anything so potentially messy as door handles or light switches. What use could such outdated things have in a house of the future? Instead, everything can be controlled—the opening and closing of windows, light switches and pretty much everything else—via that all-knowing gadget, the smartphone or tablet, in your hand. The outer layer of B10 is a sheet of white fibreglass and silicon that ensures that the wood is not ravaged by the elements. Plus, the vacuum-insulated glass front ensures that the house has a solid seal. There is also an underground ice storage tank that cuts down on energy consumption by eliminating the need for traditional heating and air-conditioning systems. Which means; in summer the ice melts, absorbing heat energy and subsequently cooling the house. And—you guessed it—in winter, the ice gradually freezes releasing a certain amount of heat energy. This is then used to heat the house via a heat pump. Voila! When the residents of the house are not there, the patio folds up to shield it from the sun. When night falls, insulating panels roll down to cover the glass so that energy won't escape. A modern version of a drawbridge, if you will, except here, the elements and passers-by are your possible enemies not chain-link-wearing soldiers. 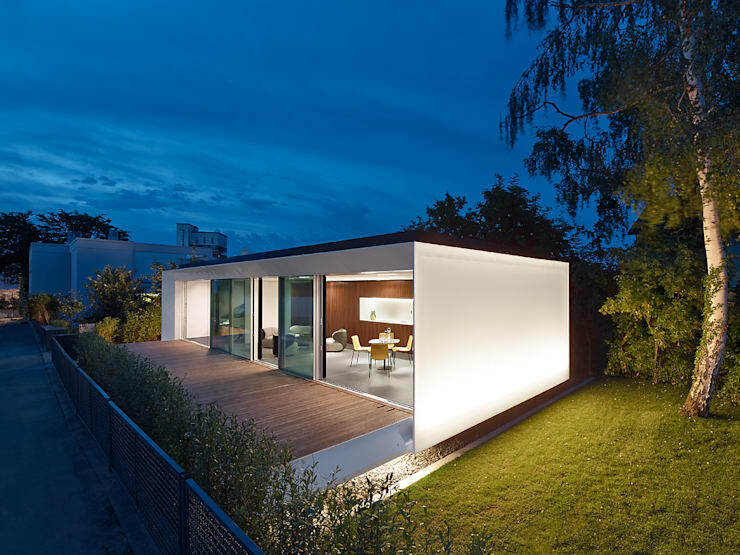 From the outside, it simply looks like a clean box—a rather contemporary one. And in certain ways, a box it is, since the whole structure is easy to disassemble and relocate elsewhere. Once the time allocated to the project (until 2017) is over, it could either be reassembled elsewhere or stay put if the Stuttgart government gives the go-ahead. Are you impressed by this home's eco-friendly design? Have you incorporated sustainable elements into your abode? Let us know!